Since completion of the dam, the Board has developed and maintained many gardens and parks, downstream of the dam and in the colonies. The gardens near the dam are attracting many tourists. 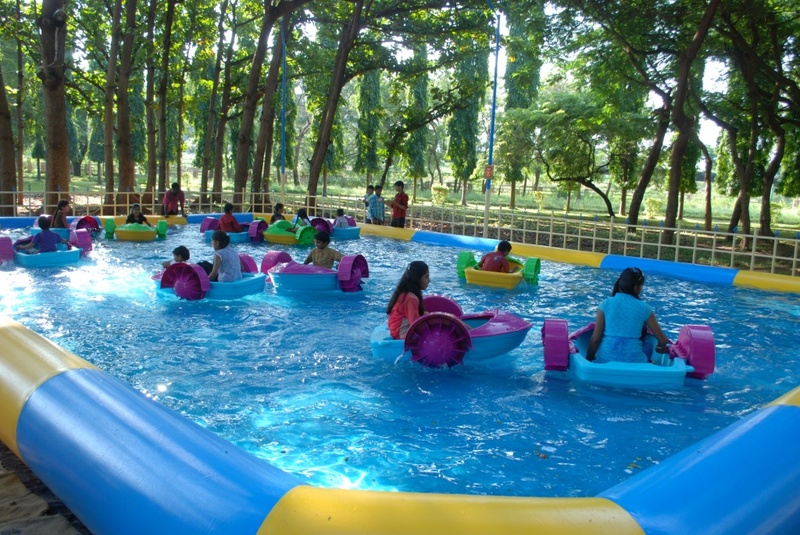 Nandanavana garden was developed soon after the completion of the dam during the year 1956-57. Thisgarden is located just downstream of the dam running parallel to it. It has an area of about 6 acres (2.43 ha) and is designed and developed on the lines of Brindavan Gardens at Krishna Raj Sagar near Mysore. It is well laid with four terraces at different elevations. The first terrace is housing circular type fountain with a Shiva statue at the center. The other three terraces are equipped with fountains of various designs, running parallel and perpendicular to the layout of the garden. This garden has got welll-maintained lawns, Bougain villea on the slopes, seasonal and annual flower beds, Christmas trees, Cyprus plants and topiary arches. The Deer park is located just by the side of Japanese park. It was developed in the year 1982, with anapproximate area of about 15 acres (6.07 ha). At present , it has got about 70 spotted deer’s, 4 sambars, 4 neelgai, 6 black bucks, 1 chinkora, 30 rabbits and 2 porcupines.